Kuttu Flour mainly is considered as an important by-product of Kuttu fruit. In its potency, Kuttu is extremely warm and everyone should be aware of the fact that Kuttu is a kind of fruit but not grain. This is considered as the major reason for not consuming Kuttu ka Atta or Buckwheat flour in an everyday meal. This flour is brown in color and so it is rich in high nutrition and also most important elements. There are various reason why people should continue to eat Kuttu ka atta even after Navratras. Most of the people during the Navratras just stick to the vrat ka khaana for the entire nine days. But, they should know the fact that if we include these foods in our daily meals that it can be beneficial to the overall family’s health. Navratras are considered a nine-day period which is gastronomically quite satisfying. No food can beat the delightful flavors of sabudana khichdi, alloo sabji and kuttu ka atta. But most of the people stick to the vrat ka khanna only for those nine days. It can be quite beneficial if we include them in our daily meals. Here are given some important benefits of Buckwheat flour or kuttu ka atta. Before you head to the regular wheat counter, this will surely make you think twice. 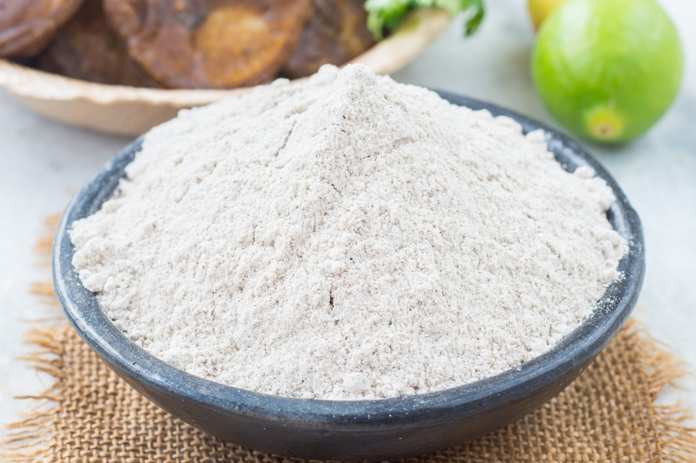 #1 Kuttu ka atta or Buckwheat flour has more amino acid lysine and also it is loaded with high-quality proteins than rice or regular wheat. This amino acid is very much beneficial and so, it is taken orally sometimes for treating cold sores. This particular amino acid is considered as the building block of our body. #2 Large amount of fiber is usually present in Buckwheat flour. It contributes to the lowering of the secretion of acid i.e. bile, provides energy to the entire body and also cleans the digestive system. It binds itself to toxins and also detoxifies the body. So, it mainly aids in its excretion out of the gut. It presents gallstones and also protects the colon from cancer. #3 A large number of minerals and also essential nutrients are present in kuttu ka atta. Along with that, it possesses niacin (vitamin B), riboflavin (vitamin B2) as well as vitamin B-complex. Trace minerals such as zinc, iron, copper, and phosphorus are contained in it additionally. #4 Weight loss is also aided by the Buckwheat flour. As compared to rice or wheat, much fewer calories are usually present in it. Instead of these two i.e. wheat or rice, if you consume Buckwheat flour then it proves instrumental in weight loss. It facilitates digestion and also helps to control binge-eating. It is again free from saturated fat. #5 It is low on fat content and also contains essential minerals. It helps in keeping the blood sugar level under control. Since it has D-chiro-inositol, it controls the type 2 diabetes. So, for diabetic patients, you can easily prepare chapatti of Buckwheat flour. #6 Buckwheat flour alongside also lowers the blood pressures as it contains magnesium. If you are suffering from high blood pressure, then it can prove much beneficial. It is explained by many studies that magnesium counteracts spasms, dissolves blood clots and also dilates blood vessels. #7 In the body, the cholesterol levels are reduced by the presence of various trace minerals and essential vitamins. The minerals mainly include iron, magnesium, and phosphorus and so, it keeps the oxygen of blood at a healthy level. This also keeps irritability, lethargy, and fatigue in check. #8 Manganese is also present in Buckwheat flour which helps to keep the bones strong. It prevents the condition of fragile bone also known as osteoporosis. Alongside, it also facilitates the calcium absorption in the body. Each year, about 10 million Indians generally suffer from osteoporosis. #9 It aids in hair growth as it mainly contains complex carbohydrates. The release of too much sugar into the bloodstream is also prevented by complex carbohydrates. So, the proteins are converted into cells that form hair.